Higher Ground Church covenanted together on August 28th, 2018. Our first service was September 9th, 2018. The entire process of planting Higher Ground has been a remarkable display of God's providence. He provided a sending church, a gifted core group, funding, several supporting networks, and even a building. It's been an exciting journey. Higher Ground is reformed in theology, committed to expository preaching, elder led, practicing church membership and discipline, and is intentionally missional. What exactly do all of those components mean? Keep reading to find out! Picking a name for a church is difficult. We considered several names: Totah Church, Credo Church, Westgate Church, and Zia Bible Church. Someone even jokingly suggested Tumbleweed Church. My pick was Doulos Church. Doulos, Greek for slave, is a New Testament description for the Christian (Acts 2:18; Rom. 6:15-23; 1 Cor. 7:22). Doulos Church had it all. Not only was it cool and edgy, it perfectly captured the Christian’s relationship to Christ: Jesus is kurios— lord and master. There were a few baristas at Durango Joe’s that I would run the names by for feedback. I was excited to share with them Doulos Church. When one of them heard the name, she thought for moment, and then said, “That reminds me of Shrek. I think there is a Duloc or something in it.” Sure enough, Duloc is a city in Shrek ruled by Lord Farquaad. And with that revelation, Doulos Church would not be the name! Ten years ago, my sister and I were dreaming of a church plant. I had just returned from my freshman year at Bob Jones University and church planting was on my mind. We were listening to an album of Irish hymns and tossing around what this church plant would be called. She threw out the name Higher Ground Church. The name would stick. While planning for the plant this year, we kept coming back to the name Higher Ground. God providentially brought us a building located on Harper Hill. Harper Hill overlooks the San Juan River, the border of the Navajo reservation, and the city of Farmington. Higher Ground Church, as it turns out, is the perfect name for this new church plant. These three words sum up the mission and identity of Higher Ground Church. Higher Ground Church exists to glorify God, edify his people, and testify his Gospel. The church exists to glorify God. This is the foundational principle for Christ’s church. Church (ekklesia) means a called out assembly or congregation. Members of Christ’s church are called out from the world to bring God glory (Eph. 1:5-6). God desires to be glorified in his church (Eph. 3:20-21). The church exists as a living portrait of God’s counter-cultural, self-glorifying wisdom (Eph. 3:10-11). Glorifying God is accomplished at Higher Ground by principally driven ministry (not pragmatism); unashamed proclamation of and centering upon the Gospel; God exalting worship (singing and preaching); and faithfulness to God’s word. Discipleship. Every Christian is to be a disciple maker (Matt. 28:19). To be a disciple is to be a follower, learner, and pupil of Christ. To believe in Jesus is to be a disciple of Jesus (Acts 4:32; 6:2). Disciples are to be like Jesus (Luke 6:40) and to serve others (Phil. 2:1-8). Community. God, being triune, exists in community (Gen. 1:26; John 17:20-26). Man is made in God’s image (Gen. 1:16-17), after his likeness (Gen. 5:8). He is made for community. The Church is a relational and interwoven body of believers. The Church is called the Bride of Christ (Rev. 21:9), the Flock of God (1 Pet. 5:2-3), the Fold of Christ (John 10:16), the House of God (Heb. 10:21), the Temple of the living God (2 Cor. 6:16) and the Body of Christ (Eph. 1:22). It is mandatory that Christians be joined to a local church (Heb. 10:23-25). Discipleship and community for the entire family will be accomplished through Bible teaching and relationship building. Service. Jesus is the ultimate model for every disciple to follow. He taught that his followers must be servants because he was a servant (Matt. 20:20-28). He had a mindset of service (Phil. 2:1-8). He modeled humble service through the washing of the disciples' feet (John 13:3-17). Christians serve other Christians by their meeting their needs and building them up (Gal. 5:13). Christians serve non Christians by their lives of holiness (Matt. 5:13-16; John 13:34-35) and their faithful gospel proclamation (Matt. 28:18-20). It is the responsibility of every Christian to make disciples (Matt. 28:18-20). Christians must be preaching the Gospel. The Gospel is the power of God for salvation (Rom. 1:16). This is done through verbal proclamation of the Gospel and by distinctive living. When Christians love one another as they ought, they show to the world that they are God’s true followers (John 13:34-35). Our identity as a church finds its roots in the Protestant Reformation. Being Baptist, we trace our church lineage back to the Puritans. The historic confession we most identify with is The Baptist Confession of 1689. Being Reformed, we believe in primacy of Christ above all. We believe that God initiates and guarantees salvation. We believe in the sufficiency of Scripture. We believe in the lordship of Christ in salvation. We unashamedly hold to the Five Solas of the Reformation: The final authority for the Christian is Scripture alone. Salvation is through faith alone by grace alone in Christ alone. The Christian life is to be lived to God’s glory alone. We strive to magnify Christ not only by our beliefs, but also in our practice. Our guiding worship philosophy is semi-regulative. Regulative worship means that everything done in the Christian gathering must have Biblical precedent. We’re semi-regulative because we have kid's classes, and sing more than just the Psalter. When selecting songs we intentionally pass songs through three filters: is the song biblical, congregationally singable, and is it beautiful? Additionally, we match the songs with the specific Biblical text being preached that week. As a result, the songs we sing are not the popular worship anthems on the radio. Instead, we sing a beautiful diversity of the best of hymns and the best of worship songs. Our hymns come from the Hymns of Grace hymnal, and we select many of our worship songs from Sovereign Grace Music, Keith and Kristyn Getty, Citizen’s and Saints, and The Modern Post. There are two main types of preaching: topical and expository. Topical preaching is when a preacher selects a topic and then uses Bible verses to make his case. Expository preaching, however, starts with the Biblical text. The point of the message is the point of the text. This usually takes the form of verse by verse preaching. At Higher Ground, we are firmly committed to expository preaching. To exposit means to explain. The preacher’s job is to explain the biblical passage. If the point of the sermon is not the point of the passage, it isn't biblical preaching. At Higher Ground, we work through entire books verse by verse. Our current study is "Light and Life: The Gospel According to John." Elders are men (1 Cor. 14:33-35; 1 Tim. 2:11-15) who shepherd God’s people (1 Pet. 5:1-2) and rule his church (Acts 20:28; 1 Tim. 5:17). The biblical norm for church leadership is a plurality of elders (Acts 20:17; 1 Tim. 4:14). In this structure, which we believe is most biblical, there is no single pastor who does it all. Instead, elders as a group, collectively preach, teach, shepherd, and make decisions. There are currently a few men praying about occupying the elder’s chair at Higher Ground. Please pray that God would direct this process and ensure that the right men would join as pastors. Church Membership has largely fallen by the wayside in contemporary Christianity. We’re told its insignificant, that it amounts to just being a list of names and that it isn't even in the Bible. If church membership is seen as joining a club, being listed on a roster, or having authority to vote in the church, that's a correct observation. That is not, however, how the Bible presents church membership. Biblical church membership is the submission of a Christian to the eldership (1 Tim. 5:17; Heb. 13:17) and to other Christians at a specific, local church (Eph. 5:20-21). Along with church membership, church discipline is largely not practiced in churches. Yet, the Bible commands it (1 Cor. 5:1-11) and instructs us how to practice it (Matt. 18:15-17). At Higher Ground, we aren’t satisfied with church attendance or huge numbers. Our desire is personal holiness and Christlikeness in the lives of believers. Church membership and discipline are two means to accomplish this goal. Our hope is that Christians who attend on Sundays would covenant together with this group of elders and believers called Higher Ground Church. God has providentially placed us in a populated area, surrounded by new, developing neighborhoods, in a location where there are not any Bible preaching churches. The communities surrounding our church and the bordering Navajo reservation are our mission field. We must be sharing the Gospel (Mark 16:15; 2 Cor. 5:19-20). We must be making disciples (Matt. 28:18-20). If Higher Ground Church grows from other church transfer growth alone, we are failing in our mission. A new church plant demands new converts. The proclamation of the Gospel, isn’t just for our local area but should be regional and global in scope as well (Acts 1:8). Ten percent of our annual budget helps contribute towards global missions. We are currently pursuing membership with Acts 29. We are church planted by another church, and we want to be a church that plants other churches. Locally, we are partnered with Grace Hill Church, our sister church, and the San Juan Baptist Association. 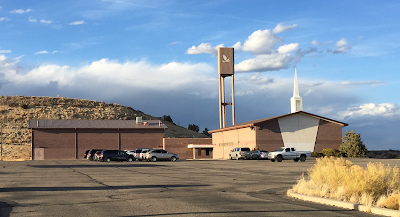 Regionally, we are apart of the Baptist Convention of New Mexico and the Gospel Collective (A coalition of reformed, missional churches in the Four Corners). Globally, we are partners with the North American Mission Board, the Southern Baptist Convention, and will one day be apart of Acts 29. God has greatly blessed us. He has made Higher Ground Church a reality. His providential hand has orchestrated this entire process. 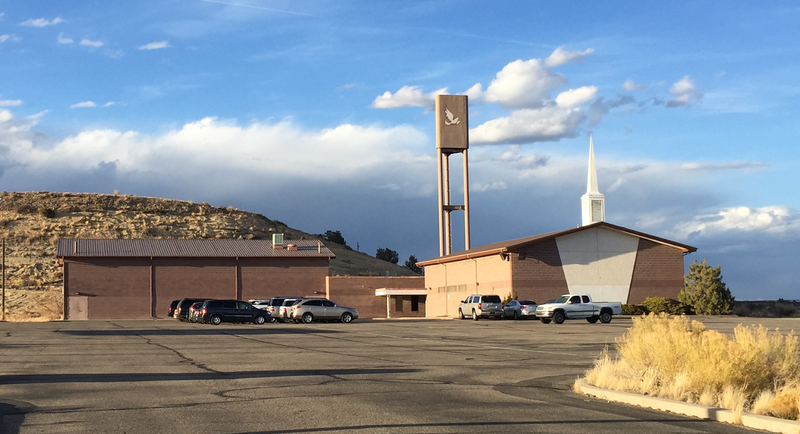 We are humbled to be apart of his kingdom building in Northwestern New Mexico. We're fully relying upon him. He will build his church. We're excited about all that he will accomplish in this new church plant! The past ten months have been a season of profound lows and highs. I lost the pastorate—a vocation I treasured and a church I planned on giving my life to. But, I gained new jobs and met new people which in a mysteriously providential way, came together in new opportunities. I lost my church family, whom I loved serving, and then entered into a new congregation. I made new friendships and gained a new faith family, which made me wonder anew at the glories of Christ’s church. I was forced to look at my own personal deficiencies and lost a lot of self-pride. But through it, I gained renewed perspective—seeing my identity not in my being a pastor but in my being united to Christ. I gained a new appreciation for those pastors who have suffered in ministry. They are unsung heroes, quietly serving, remaining faithful under affliction. In pastoral ministry, men of conviction rarely sail through smooth waters. In many ways, the Puritans of old, particularly Jeremiah Burroughs and John Flavel, have been my companions in the dark of night. If I were to characterize these past months, the word that defines my experiences has been new. There have been a lot of new things that I have experienced. Being an INFP-T, I don’t particularly care for the new. I love and thrive in the familiar. But, I have been thrown into the new. In every area of life, I am wearing the aura of new-ness. I am living in the season of the new. One of the benefits of unemployment was suddenly having a lot of free time. Last August, I bought a house which needed some work done on it. When I was employed full time, I would work on the house on the weekends or nights that I had free. Being unemployed gave me the opportunity to finally finish my house. After repairing dry wall, texturing the entire interior, installing ceiling lights, fans, and painting the interior, I finally moved in. Thus far, I’ve enjoyed living in a new to me house. There have been a few showings of Nacho Libre, and many more to come! I spent last spring working as a long term sub at Kirtland Middle School. Because I was there every day, I was moved from classroom to classroom, hung out in ISS, walked halls, and played football with some rough 7th graders (where I severely sprained my thumb)! I got to know many of the students. We jammed to Journey, Coldplay, T.Swift, and some of my EDM favorites, watched Nacho Libre, and they enthusiastically listened to my sad stories. (Someone has to teach these young people culture). It was a blast! Middle school students are a lot of fun. Being at KMS exposed me in a raw way to many of the issues these young people are facing. I was surprised to see widespread nihilism and despair at such a young age. These young people are in darkness and need hope—the hope that only the Gospel can give. During this time, I felt a real, new, burden for these teens, for West Farmington, and for Kirtland. I prayed to God for opportunity to do ministry there (more on this later). For work now, I’ve been given an exciting opportunity. I am employed as an Intervention Specialist at Piedra Vista High School. This position is brand new. Farmington is one of two school districts in the country that was selected as a testing ground for this position. I get the opportunity to contribute to its formation and to serve as its guinea pig! In essence, the job is to befriend students, mentor them, and help them. The goal is that students won't fall through the cracks unnoticed and uncared for. I’m looking looking forward to building and fostering these meaningful relationships with the broader Farmington community. I cannot put into words how grateful I am for Grace Hill Church and for its elders. Going from vocational ministry as a pastor to being a congregant is an awkward and humbling experience. Grace Hill kept me sane, and kept me from going too far into the depths of depression. The members of Grace Hill were very welcoming and encouraging. They opened their homes to me, fed me, and let me know they were praying for me. The elders of Grace Hill gave me opportunities to do ministry. They requested that I join them at their weekly elder's meeting, asked me to frequently preach and to teach, and entrusted me with a T_C Group. They even sent me to the Acts 29 US West Conference in Reno, Nevada. Grace Hill has kingdom vision. They aren’t concerned with Grace Hill as much as they are concerned with spreading the Gospel to the world. This is a rarity for churches, as many churches are only concerned about growing their own church. In January, the elders of Grace Hill asked me to consider partnering with them in a church plant endeavor, which leads to the next new, huge, and unforeseen event in my life. When I was in my undergraduate studies, thanks largely to Dr. Bruce McAllister’s class, I began to really think about church planting in San Juan County. One night, during Christmas break, while driving around in my Jeep, Cherayah and I were dreaming about the possibilities of a church plant in Farmington. This church wouldn’t be defined by pragmatism, but would intentionally oriented to be God glorifying. This church wouldn’t be caught up with the old vs. new worship wars. Instead, it would use the best of contemporary worship songs, while not neglecting the millennia of rich hymnody that has defined generations of Christians. This church would be unflinchingly biblical, firmly committed to expository preaching. It would be intentionally missional, reaching out to the diverse ethnic groups of San Juan County. That night, Cherayah and I went back and for on what this church would be called. Eventually, Cherayah threw out the name Higher Ground Church. Ten years later, this dream of a church plant in Farmington has come to fruition. And the name surprisingly stuck! The founding members of Higher Ground covenanted together as a church on August 28th, 2018. We had our first public service on September 9th, 2018. Higher Ground Church exists to glorify God, edify his people, and testify his gospel. It is broadly reformed in theology, elder-led in polity, and expositional in homily. I didn’t make this church plant happen. I was invited into the process. In God’s providence, he provided a sending church, a building, funding, a big, strong, supporting network, and the core team needed to plant. I have been amazed to see his clear hand in the orchestration of all of this. I am thankful that God placed me at Kirtland Middle School for a season, as some of the teens I taught, have already expressed interest in the new church! With my being an mix of Hispanic and Navajo, these are my people. I’m stunned at God’s orchestration of all things to make this church plant possible in a place where one is desperately needed. Truly, he works through our bad situations to accomplish his grand plan. While this topic merits an entire post on its own, I would be remiss not to at least mention God’s working in my own heart over these months. I have been forced to examine myself--and it wasn't a pretty process. I have relearned to rely upon Christ as my strength. I have learned not to place my identity in being a pastor, but as one united to Christ. I have learned that suffering is God’s gracious tool to refine us and to bring us closer to him. I have learned and experienced God’s providence and it has led me to worship. There has been a lot of new things in my life these past months. I’ve learned much. I've grown much. Through it all, the season of the new, God has remained faithful and good. And I am thankful.